Why are amino acids essential to our nutrition? If you are anything like I was in school you might have snoozed through most of biology class missing the whole section on amino acids all together. If I knew then what I know now I would have been more enthusiastic about absorbing as much information on the subject as possible. 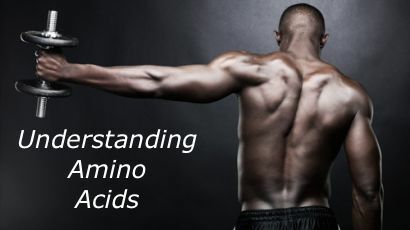 In this article we are going to focus mostly on essential amino acids. This is not to say that the non essential amino acids are any less important. It just means that the non essential amino acids are those that our healthy bodies can create on its own. These non essential amino acids help detoxify the body, regulate metabolism, create healthy skin, increase brain function, helps immune system, lowers blood pressure and many other vital functions in our health. Essential amino acids, however, are not created in our bodies and thus must be added to the nutrients we consume. Either through food or supplement. These six amino acids are going to be our focus today. – Histidine: plays a role in the formation of proteins as well as influence several metabolic reactions in the body. Originally thought to only be essential in infants it was also found that deficiency in this amino can result in growth disruptions or rheumatic arthritis in adults. It is also essential in the transmission of messages from your brain to your organs. FOOD SOURCES: Fish, meat, eggs, dairy, rice, wheat, rye, beans, cauliflower, mushrooms, potatoes, bamboo shoots, bananas, cantaloupe, and citrus fruits. – Isoleucine: is best known for its ability to increase endurance as well as heal and repair muscle tissue. Isoleucine is one of three branched-chain amino acids that repair muscle tissue. Good thing to slip into your recovery drink. FOOD SOURCES: Nuts, seeds, meat, eggs, fish, lentils, and peas. – Leucine: I hope you got this far because this one is my secret weapon to weight loss. Not only does Leucine work with Isoleucine and Valine to repair muscle tissue but it increases production of growth hormones, and burns visceral fat. This is huge being that visceral fat is the fat least responsive to exercise and diet. Want to loose the stubborn pooch belly, this is one key ingredient to help you accomplish that. FOOD SOURCES: Brown rice, beans, meat, nuts, soy flour, and whole wheat. – Lysine: Best known for its antiviral properties it is also known for the growth and maintenance of bones as well as needed for production of growth hormones. FOOD SOURCES: Cheese, eggs, fish, lima beans, milk, potatoes, red meat, soy products, and yeast. – Methionine: Not only does this essential amino acid help the body process and eliminate fat but also is key in removing toxins from the body, promote cardiovascular health, and build strong, healthy tissue. Methoinine is needed for the formation of healthy collagen which results in the formation of skin, nails and connective tissue as well as reduce the level of inflammatory histamines in the body. FOOD SOURCES: Beans, eggs, fish, garlic, lentils, meat, onions, soybeans, seeds and yogurt. – Phenylalanine: The central nervous system requires the use of this amino acid to function normally. It is also used in the success of controlling symptoms of depression and chronic pain. This essential amino acid even pass the blood brain barrier allowing it to be effective in the treatment of brain disorders. Your body interprets your environment through three neurotransmitters; epinephrine, dopamine and norepeniephrine. All of which require phenylalanine to be made. – Threonine: While maintaining the proper protein balance in the body, Threonine promotes normal growth along with supporting cardiovascular, liver, central nervous, and immune system function. Another way to increase the production of collagen, elastin and muscle tissue is by increasing your intake of this essential amino acid. FOOD SOURCES: Dairy foods, meat, grains, mushrooms, and leafy vegetables. – Tryptophan: We all know this amino acid as the one resulting from a big turkey dinner. Tryptophan is the hardest to cross the blood brain barrier because it is so limited in supply. One thing that rings crucial about Tryptophan is that when it does cross into our brain it becomes serotonin which not only plays a role in learning and memory, but regulates appetite, mood, sleep, and also converts into the B vitamin niacin which metabolizes food into energy. FOOD SOURCES: Chocolate, oats, dried dates, milk, yogurt, cottage cheese, red meat, eggs, fish, poultry, sesame, chickpeas, sunflower seeds, pumpkin seeds, spirulina, bananas, and peanuts. – Valine: As we mentioned earlier, valine is a branched chained amino acid essential to the promotion of normal growth, repaired tissue, regulation of blood sugar, and provides the body with energy. We should also note its importance in removing toxins from the liver, stimulating the central nervous system and balancing proper mental function. FOOD SOURCES: Meats, dairy products, mushrooms, peanuts and soy protein. Subscriber to our news feed for more informative articles such as these to help you get in the best shape of your life. And come visit us at Tiger Muay Thai one of Asia’s premiere weight-loss destinations. Our dedicated team of fitness professionals will support and lead you and can help blast away that unwanted fat and get you in the best shape of your life.